Generate and solve Kakuro puzzles. More Apps Rosborough Tech Co.
Is there a better alternative to MacKakuro? Is MacKakuro really the best app in Puzzle category? Will MacKakuro work good on macOS 10.13.4? MacKakuro, a follow up to the popular MacSudoku, generates and allows you to solve Kakuro (otherwise known as Cross Sums) puzzles, which are deceptively simple and addictive logical puzzles in a similar style to Sudoku. 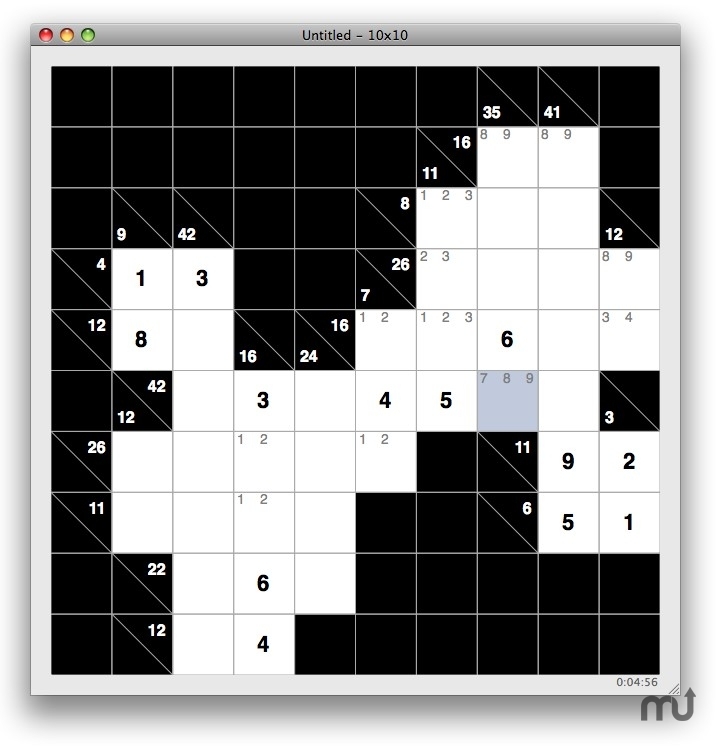 MacKakuro features 6 different sizes of high-quality, symmetrical puzzles, a puzzle timer, statistics, and an easy-to-use, intuitive interface. MacKakuro needs a rating. Be the first to rate this app and get the discussion started!